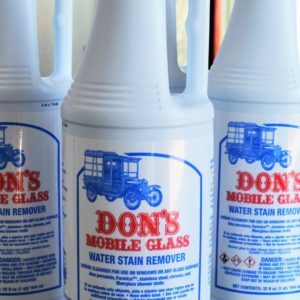 The “World’s Best” glass and surface cleaner from Don’s Mobile Glass. 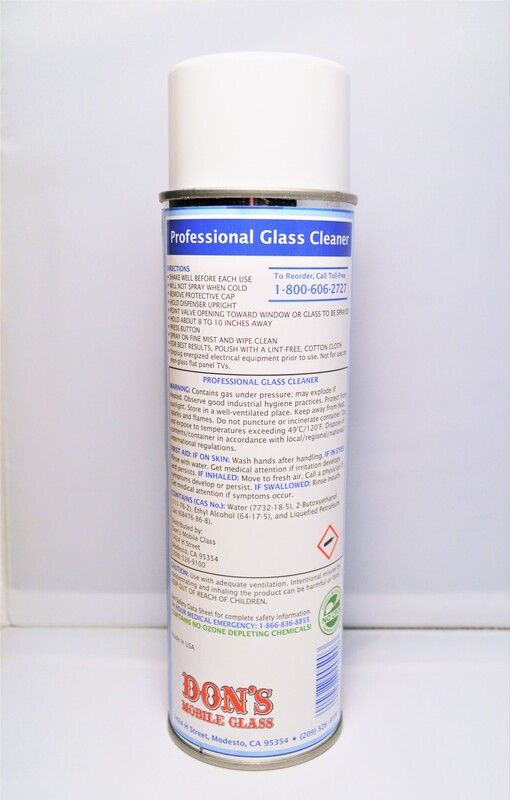 19 Oz – Ozone friendly aerosol. 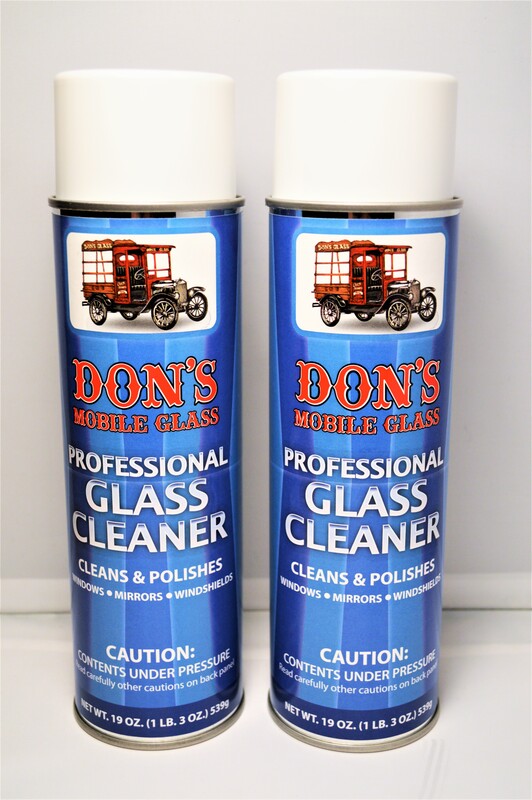 Don’s Mobile Glass Professional Glass Cleaner is custom-formulated for glass and mirrors. 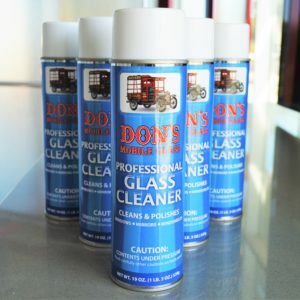 It was designed to professionally clean and polish your shower doors, mirrored wardrobe doors, windows and windshields without leaving any film behind. Can be used for institutional, commercial or industrial applications. Contains no ozone depleting chemicals.